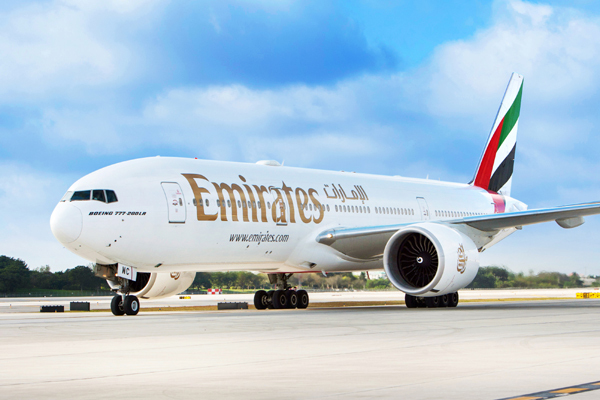 In a significant fleet renewal milestone, Emirates airline has completed the reconfiguration of its last Boeing 777-200LR aircraft. Emirates invested $150 million in converting the 10 Boeing 777-200LR aircraft in its fleet from three to two class cabins featuring wider Business class seats in a 2-2-2 format and a fully refreshed economy class cabin. The reconfiguration of the 10 aircraft was executed fully in-house at Emirates Engineering’s state-of-the-art facilities in Dubai. The engineering team spent a total of over 160,000 man hours on the project, working with more than 30 suppliers and handling over 2,700 spare parts at any one time. On an average, it took about 35 days for the team to completely strip and reconfigure a single aircraft.